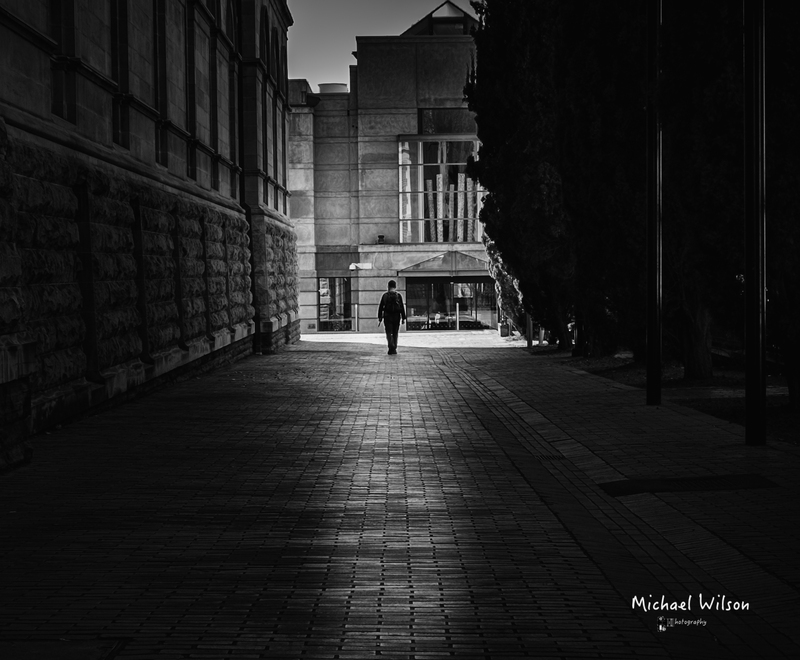 This entry was posted in Photography and tagged Adelaide, Adelaide Street Photography, Australia, black & white, City, Lightroom, Monochrome, North Terrace, People, Photography, Silver FX Pro, South Australia, Street Photography. Bookmark the permalink. Really like how he is heading towards the light, so much symbolism.Very nice shot. Your work is simply amazing…breathtaking even. It’s such a indescribable experience each time I view your work. I’m such a fan of your work. Thanks so much for taking me places and showing me things through your photography that I may or may not ever see otherwise. Some photos are much greater than the sum of their parts and strikes me this is one of them…. !